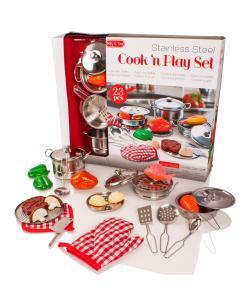 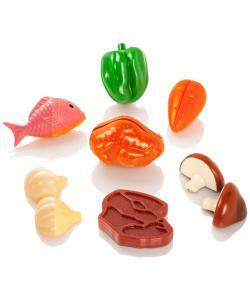 This play set features shiny stainless steel cookware that Mum and Dad would envy! 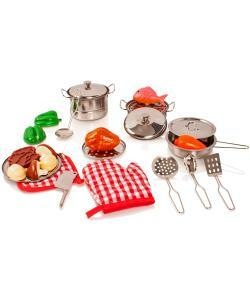 Perfectly sized for little hands, the three pans (with interchangeable lid) fit most play food items for exciting restaurant and kitchen play. 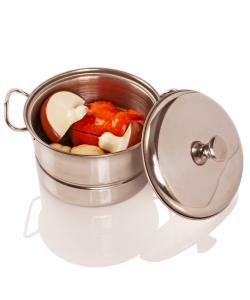 All of the handles and knobs feature sturdy riveted joints that won't weaken and wear like welding or glue. 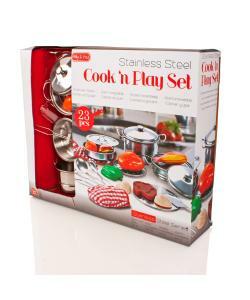 With 5 handy utensils, oven gloves, hobs and play food included. 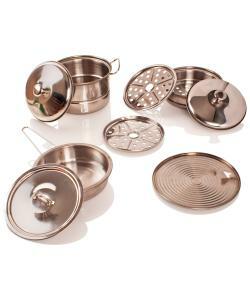 The stainless steel pieces are polished to a gorgeous mirror-finish, this set is truly top shelf!